The next big thing on this planet will be ecosystem thinking among businesses as well as society. Ecosystem thinking will allow us to ensure future competitiveness and our capacity to change. When we talk about ecosystems, we don’t need a more complex metaphor than what we’ve all learned in biology classes and what we can observe in our environment. By ecosystem, we mean a functional entity comprising organic and inorganic elements operating in a shared environment. Ideas and cooperation models that draw on the ecosystem analogy will also create amazing future opportunities in the world of Enterprise Resource Planning (ERP) projects. ERP companies have long had their own ecosystems, but now it is time to internalize the approach and environment whose focal point is…voilà – the customer! Ecosystems are a central aspect of the platform economy. It is difficult to come up with anything that would better describe the platform economy on a micro scale than a corporate ERP system – the backbone of all operations and a pillar of productive economic activity. It is for this reason that ecosystem thinking and modeling in ERP project seems highly logical – why haven’t we always done it this way? ERP projects are textbook examples of demanding change, system and multi-vendor projects. Traditionally they include all this and more, not forgetting money. Almost without exception, acquiring a completely new ERP system requires significant investments with very little room for failure. In their entirety, such projects are often exhausting at the least. In the initial stages of the project, many companies purchasing a new ERP system don’t yet know what the project itself will or should entail, apart from it being a shiny, spanking-new ERP. I maintain that a joint modeling of the ecosystem from the customer’s perspective will provide an excellent basis for cooperation among all the parties involved for years to come. Among other things, the model should describe from the customer’s perspective the desired scope of the ERP system, the customer’s organization, clients, operations model, all the players involved, systems to be omitted, touchpoints and related implementations as well as existing solutions that will remain unchanged. Modeling an ecosystem using the Value Creation Model™ helps suppliers understand the customer’s world and opens it up to all parties, something that is critical for the success of the project from the perspective of the functionality of individual segments and collaboration among the different actors. Modeling also makes it easy to observe interdependencies in the current system (Value Paths) and any new opportunities they may offer. The culture around traditional practices and ERP projects will change. Ecosystem logic requires trust and openness from all parties, but it also facilitates transparency and dialog among actors who would hardly even encounter each other in more conventional operational settings. At their best, ecosystems related to ERP projects will form an agro-ecological symbiosis – a self-sufficient cooperation network – that can also give rise to new business activity and new cooperation opportunities. Ecosystem thinking does not require major technological investments, but a little immersion into a new way of thinking and interaction. It is possible to survive without it, but I contend that using ecosystem approaches and modelling, we can complete projects more quickly than today and using fewer resources. Read more on how Qentinel has brought competitive edge for our customers in their ERP projects: https://qentinel.com/cases/successful-erp-project-lassila-tikanoja/. Aino-Maija Vaskelainen currently works in the world of quality assurance. In 2004, she accidently got lost working with ERP systems and has worn the ERP brand ever since. She has worked on two major ERP projects with two stock-listed Finnish companies, as well as other development projects that came in their wake. She is still inspired and excited by the subject. Aino-Maija is always ready to share her past experiences as well as her subsequent insights about how things could have been done differently. 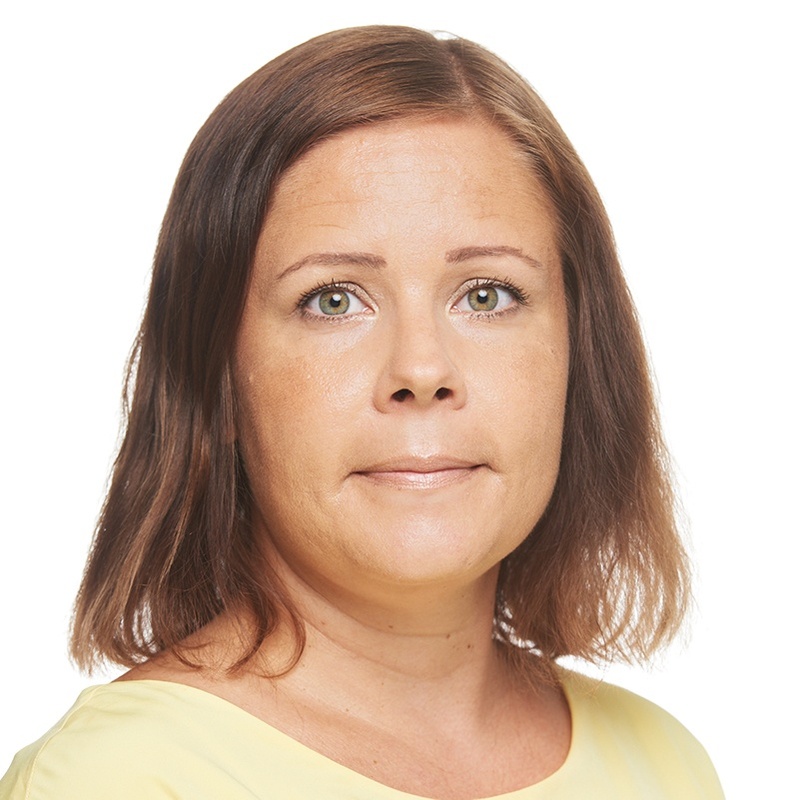 Aino-Maija Vaskelainen työskentelee nykyisin laadunvarmistuksen maailmassa, on vahingossa eksynyt toiminnanohjausjärjestelmien pariin vuonna 2004 ja kantanut sen jälkeen ERP-leimaa mukanaan. Takana on kaksi merkittävän kokoista ERP-hanketta kahdessa eri suomalaisessa pörssiyhtiössä, sekä niiden vanavedessä tulleita muita kehitysprojekteja. Aihe jaksaa edelleen kiinnostaa ja innostaa. Aino-Maija jakaa mielellään kokemuksia aiemmasta elämästä sekä myöhemmin tulleita oivalluksia asioista, mitä olisi myös voinut tehdä toisin.